Last nite, hubby and i went to Imran Ajmain accoustic showcase at Senyap The Hub, Extreme Park Seksyen 13 Shah Alam. Hubby siap survey dulu venue before that...takut2 tak jumpa. Actually the venue is between Pizza Hut and Burger King. Actually it was our first time attending this sort of thing...coz dekat jer dari rumah plus it's FREE :). So apa salahnye kitaorg pergi...kebetulan my daughter, Adriana nak tido kat rumah mak tok dia. We arrived there quite early around 7pm..konon2 nak book seats takut penuh but the show only started at 8.45pm. 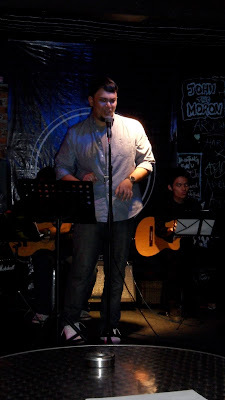 The show started off with the performance by a new artist, Tengku Adil a Singaporean singer. After that Imran Ajmain gave a very soulful, powerful and superb performance...mmg sedap betui suara dia and hubby agreed on it. Later after that it was Fazley Yaakob turn to gave his performance. 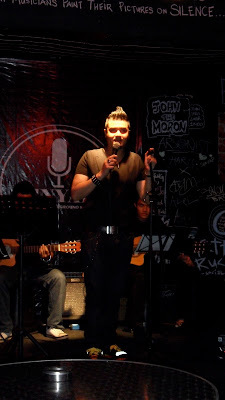 He sang 3 songs which includes "Bila April" n his famous song "Asmara Ini". 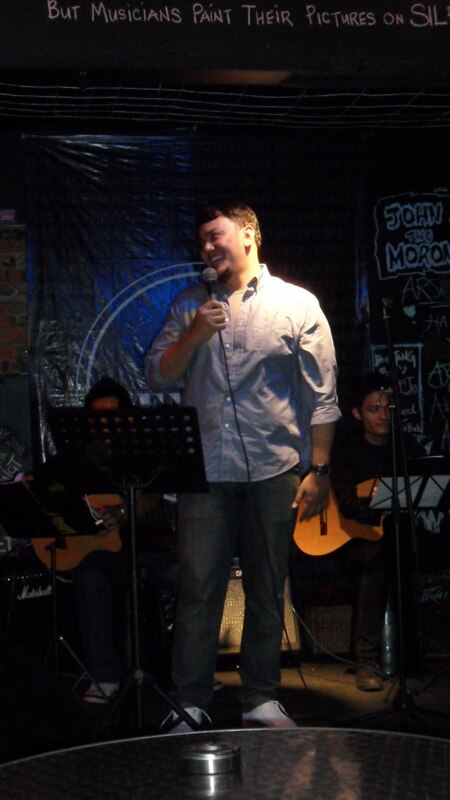 Imran Ajmain then continued performing on the stage with his famous songs "Seribu Tahun" and "Selamat Ulang Tahun Sayang". Actually, Imran Ajmain did this acoustic tour in conjunction for his decision to totally quit smocking and he has done it within 100 days. 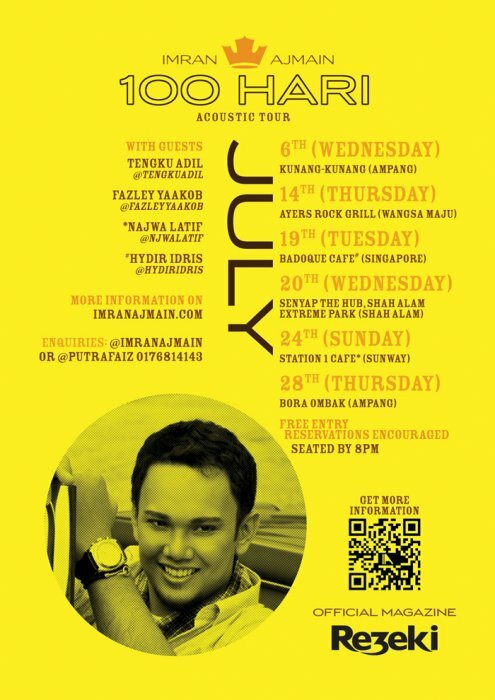 The last 2 venues for this tour will be at Station 1 Cafe, Sunway this coming Sunday nite and Bora Ombak, Ampang next Thursday. Please refer to the poster above or you can visit his OFFICIAL WEBSITE for more details.